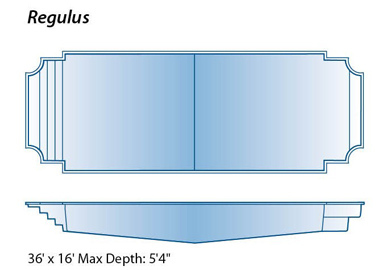 The Regulus model pool from Trilogy Pools is available in four unique configurations depending on your desires, needs, and the design of your property. 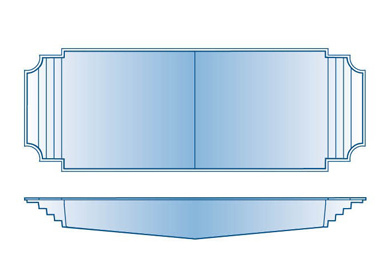 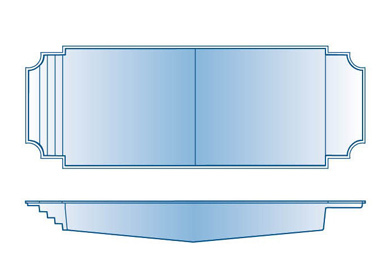 All four configuritions of the Regulus feature a 5′ 4″ center depth. 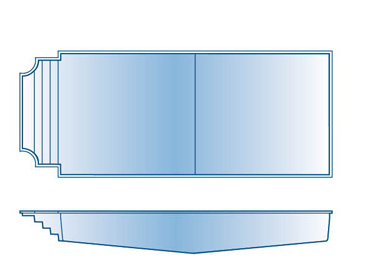 A center depth pool is sometimes refered to as a sport pool due to the fact that you will essentially have two shallow ends and it is perfect for volleyball or basketball in the pool.